Home / MOVIES / [REVIEW] “Pride” (2014): Nothing but happiness! 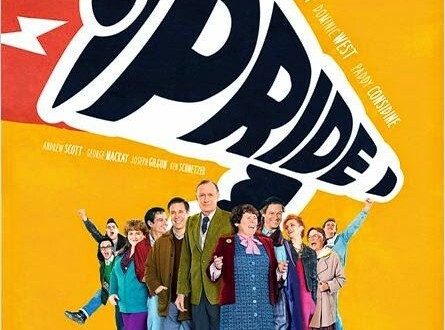 [REVIEW] “Pride” (2014): Nothing but happiness! To have again faith in human being, in his kindness and in his ability to change the world, it seems inconceivable but that is what Pride will do to you. Our review on this film directed by Matthew Warchus with Bill Nighy (Love Actually, Indian Palace) and Imelda Staunton (Vera Drake, Harry Potter and the Order of Phoenix). We are in the 80’s and Margareth Thatcher is the Prime Minister. The National Union of Mineworkers is on a long strike to fight against Mines closure in all the country. During the Gay Pride, some activists decide to create a group called LGSM (Lesbians and Gays Support the Miners) to help them to raise money for their families. But many workers are embarrassed to get help from this marginalized community. But without losing faith, the LGSM’s will go to a Welsh village with their donation to fight with them and defend their rights. The film Pride tells the true but unknown story of the LGSM group and the striking miners in England in the 80’s. Commitment and tolerance are the watchwords of this beautiful movie which subject and values do perfectly echo to our modern society. 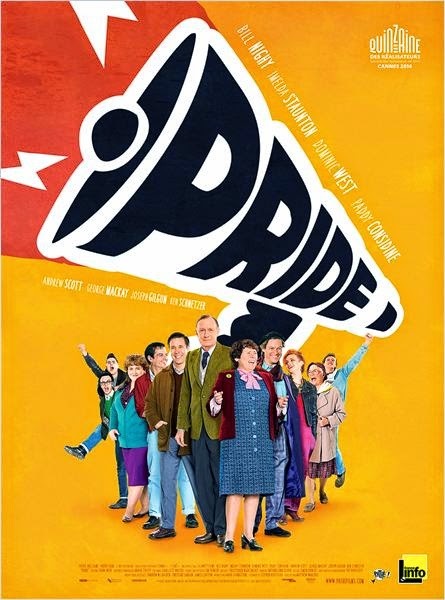 In addition to a marvelous casting, touching personalities and hilarious scenes in a wonderful Welsh background, Pride is a movie with a brilliant script written by Stephen Beresford. The real story of Mark Ashton (Ben Shnetzer), his friends and the miners shows us that unity is strength and that people with huge differencies and opposite ways of life can stick together. But Pride is also a story of failure. And it’s a point that the director Matthew Warchus wants to insist on “failure is not a reason to give up”. You have to keep fighting, and keep having faith in yourself. Some characters show how the commitment can make you better and stronger, like Joe (George Mackay) who will have to make difficult decisions and very hard choices. But losing a battle is not losing the War. During the Gay Pride of 1985, the miners were leading the procession to support the ones who help them one year earlier. Good ending for an union that nobody would have bet on. In this time of general disillusionment, Pride brings a strong and effective dose of joy and cheerfulness! 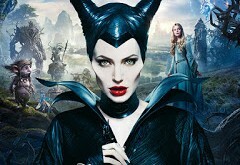 Maleficent (2014), the beloved witch?